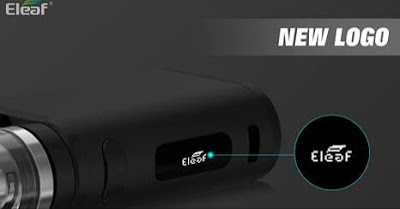 Home / Eleaf Istick / Eleaf iStick Pico Box Mod / Eleaf iStick Pico mod / iStick pico / iStick Pico box mod / iStick Pico mod / How to put logo in iStick Pico mod? 1. Open the picture you chose with Paint, edit it to be a single color picture of 96*16 pixel, and save it in format of bmp. 2. Download the file on our website, plug the mod in with USB cable, and double click the EleafUpdate.exe. 3. Click “LOGO” and open the picture you saved, finally the custom logo is successfully put in the mod. 4. Press the fire button twice in quick succession when the mod is powered on to enter logo on/off interface and press up or down button one time to turn on or off logo. 5. When you turn on logo and the mod enters standby mode, the logo appears on the screen till the mod goes to sleep mode.